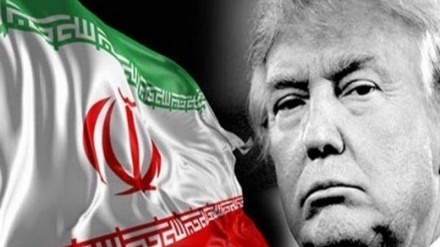 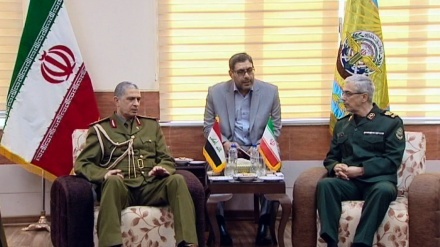 Iran’s top military commander said the two neighbors, Iran and Iraq, have agreed to cooperate in the area of aerial defences to confront potential threats from the air. 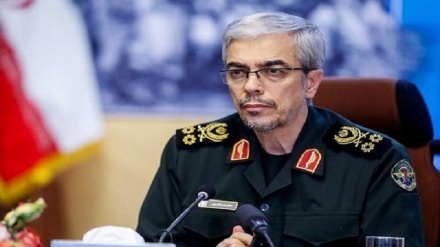 Chief of Staff of the Iranian Armed Forces pledged that the forces would make every effort to provide relief for the flood-stricken people across the country. 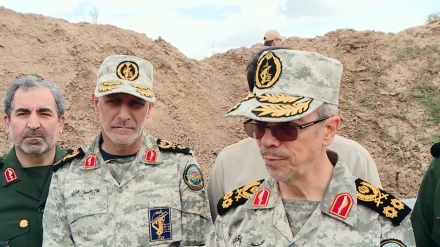 Iran's Top Military Commander visited the depths of Syria's operational areas. 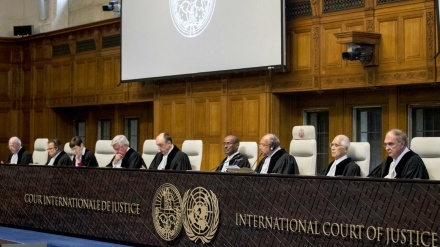 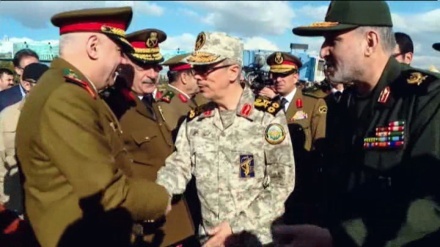 Iran's top military commander said foreign forces should leave Syria at the earliest. 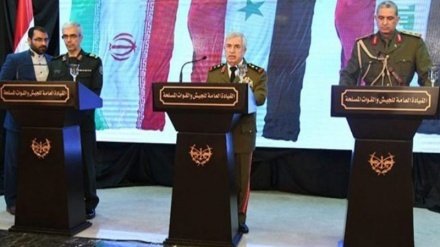 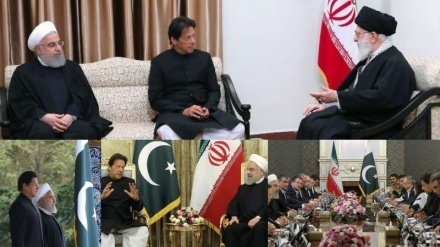 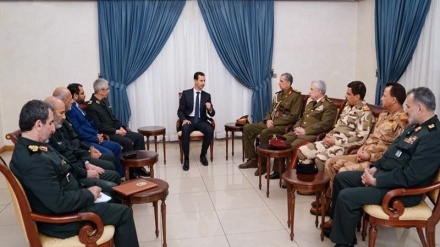 The Joint Chiefs of Staff of Iran's Armed Forces traveled to Damascus on Sunday to attend trilateral talks with his Syrian and Iraqi counterparts on ways of boosting military ties and strengthen cooperation in the fight against terrorism. 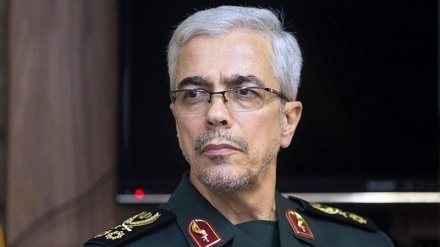 The Joint Chief of General Staff of Iranian Armed Forces highlighted the significance of having a broad outlook in the field of air defense, saying that improving such capabilities is necessary to thwart potential threats in the future. 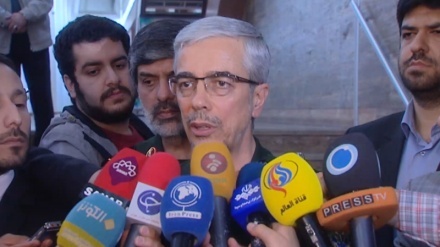 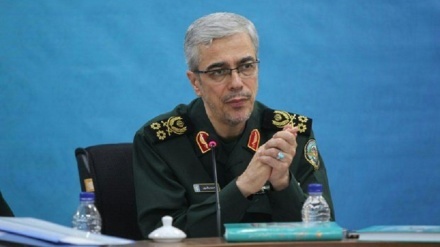 Chief of General Staff of Iranian Armed Forces emphasized that media should be the true representative of the real nature of the 'holy defense era' away from any exaggeration or distortion. 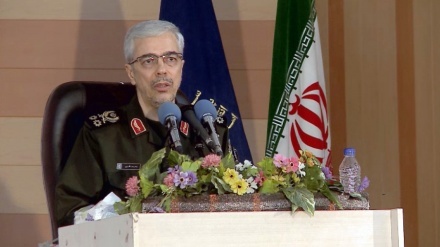 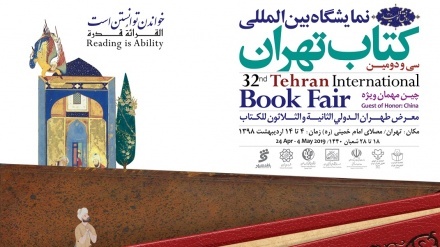 Chief of General Staff of Iranian Armed Forces highlighted that most of the people attending Rahian-e-Noor are young people.